An endorsement to LexElite® Homeowners Insurance, Significant Other Coverage, cost-effectively closes this coverage gap, extending critical protection to the romantic partner of the named insured. 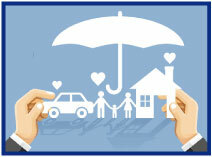 Significant Other Coverage is the newest in a series of enhancements to the LexElite Homeowners policy. Other available endorsements include: LexShare® HOME Rental Coverage, Mandatory Evacuation Response Coverage, Lex CyberSafety® Coverage, Pet Critical Injury Coverage, Upgrade to Green® Residential, and LexElite Eco-Homeowner. ® Insurance. All coverages come with industry-leading LexElite claims services. Download a version of this article as a flyer that can be shared with your clients. Visit www.bigimarkets.com for information on all the Non-standard HO markets available - Homeowners & Rental Dwelling, Condominium, Renters, and Vacant Dwelling. The Big I Advantage newsletter is mailed to Big "I" members twice a year. The latest edition is hot off the presses and will be hitting your agency mailbox soon. Would you like a sneak preview? The spring issue is packed with useful articles, updates and information on Big I Advantage programs designed to help your agency thrive. There are many Big "I" Markets products featured, such as small business cyber, habitational, affluent homeowners and small commercial, as well as information on Big "I" Retirement and Employee Benefits, the Big "I" Flood program, and more! Don't miss the cover article by our president Paul Buse, which details how your association is keeping an "eye on the future." When it arrives be sure to pass it around your office; the more awareness among your staff of member benefit programs, the better! Did you know that excess liability insurance is a critical, but often overlooked, component of personal risk management? If your clients own a home, drive a car, have a dog, have children who drive or are away at school, employ domestic staff, frequently entertain guests at your home, blog, tweet, or post comments/photos online, there's a good possibility their assets aren't adequately protected. There's even an exposure if for those who sit on a not-for-profit association board! Chubb's Masterpiece Excess Liability Insurance, available through Big "I" Markets, helps protect what your clients have spent a lifetime building when an unexpected occurrence turns into a liability judgment against them. Property damage and bodily injury in the event you are liable for someone getting injured on your property. If someone falls on your sidewalk, slips near your pool, or is injured by your pet, coverage would apply. Lawsuits involving accusations of libel, slander, or negligent infliction of bodily injury. Social networking, websites, and internet blogs have all caused an increase in libel and slander cases. Additional protection for you and your covered passengers if you are involved in an accident with an uninsured or underinsured driver. Defense costs for a lawsuit, even if it is groundless, false, or fraudulent, are included in the case of a covered excess liability loss. Chubb will provide legal counsel, with coverage for all expenses incurred. In most states, there is no cap on legal expenses incurred for a covered loss, as such expenses are outside of the liability limit. Chubb also offers an optional enhancement1 for those individuals who sit on a Board of Directors of a non-profit organization. With limits starting at $1 million, coverage is available for up to five non-profit boards per household. This enhancement is meant to cover "wrongful acts" while working as a director or officer, such as fiduciary responsibilities, discrimination, sexual harassment, or wrongful termination. Many non-profits carry their own liability insurance to protect against law suits but their limits may not be sufficient in the event multiple directors are sued at once or if the organization itself, plus directors, are sued. To ensure that your clients have the right amount of excess liability insurance, help them evaluate their personal financial situations. Lawsuits may evolve into much more costly disputes than originally anticipated. Assets could be targeted if adequate liability coverage is not in place. To determine an appropriate limit, review all of assets: house, other properties, automobiles, personal belongings, valuable articles, 401(k) investments, college funds for children, etc. 1 The Not-for-Profit Directors & Officers (NFPD&O) Liability enhancement is available via endorsement on excess liability policies written in the PLS platform. Any current Masterpiece Excess Liability policyholders may transfer coverage over to this platform in the event they'd like to add this new enhancement to their policy. NEW - Tuesday, July 7 @ 2:00 - 3:00pm EDT. "AIG - Equine Owners Risk Management Webinar". There are over 2 million horse owners and 575,000 horse farms located in the United States. Be it racing, polo, hunt seat, dressage or just pleasure, a significant number of affluent individuals and families have a passion for horses. Horse ownership comes with unique risks and owners may lack the proper protection under their personal insurance programs. As an agent or advisor catering to affluent clientele, it's important to understand the passion, inherent exposures and special insurance needs associated with horse ownership. Congratulations to this week's winners - Rhonda Jackson (NM), Julie Seibold (SC), Kevin Morrison (NM), Megan Thomas (OK), & Bonnie Langley (MD). Congratulations to our agent in Michigan on a Bid Bond sale of $13,094 in premium!